Tarzan (Elmo Lincoln) filming Tarzan of the Apes (1918) on location in the Atchafalaya Swamp near Morgan City, Louisiana. Tarzan (Johnny Weissmuller) and Jane (Brenda Joyce) on location on the Teotihuacán ruins of Mexico for Tarzan and the Mermaids (1948). 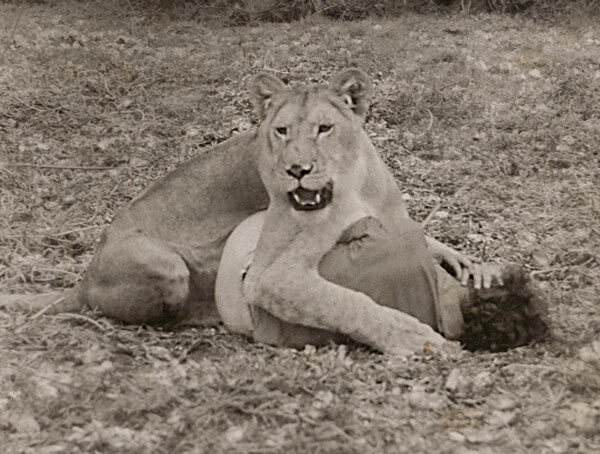 Elsa the lioness and Joy Adamson did the stunt work for the mauling Betta St. John received in Tarzan the Magnificent (1960), starring Gordon Scott. 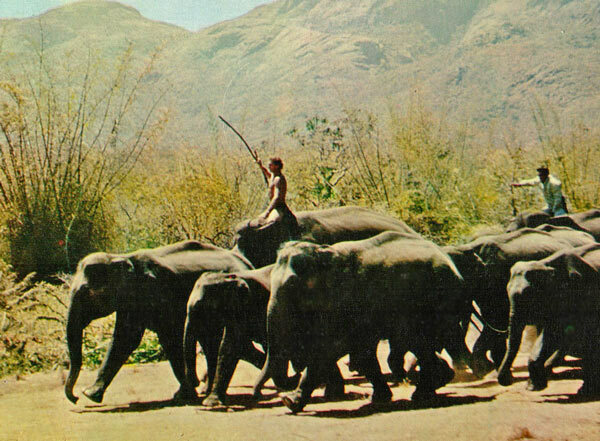 Tarzan (Jock Mahoney) leading an elephant stampede on location in Tarzan Goes to India (1962). 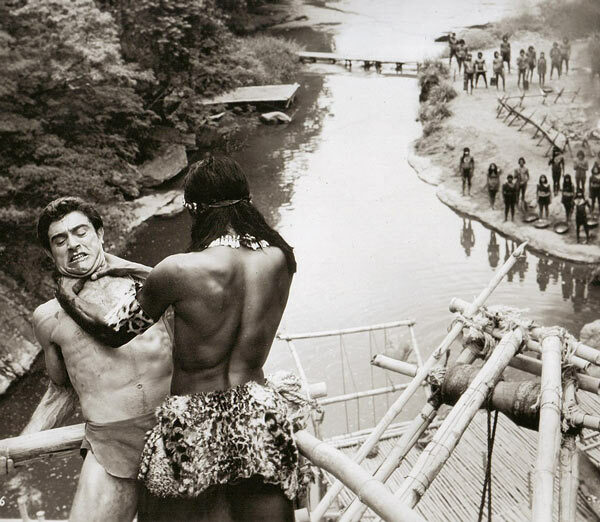 Tarzan (Mike Henry) and Barcuna (Rafer Johson), leader of a Brazilian jaguar cult, fight on location in Tarzan and the Great River (1967). 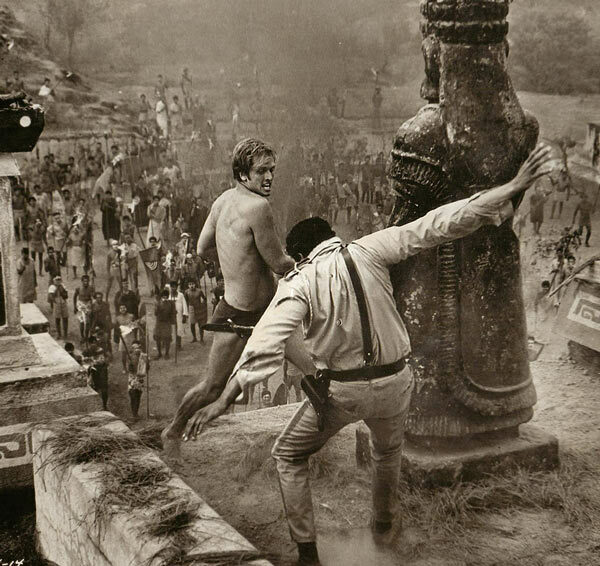 Tarzan (Ron Ely) battles Colonel Tatakombi (William Marshall) atop the Mayan ruins of Zaculeu in Guatemala in a 1967 episode of NBC-TV’s Tarzan, later released as the theatrical matinee film Tarzan’s Jungle Rebellion (1971). 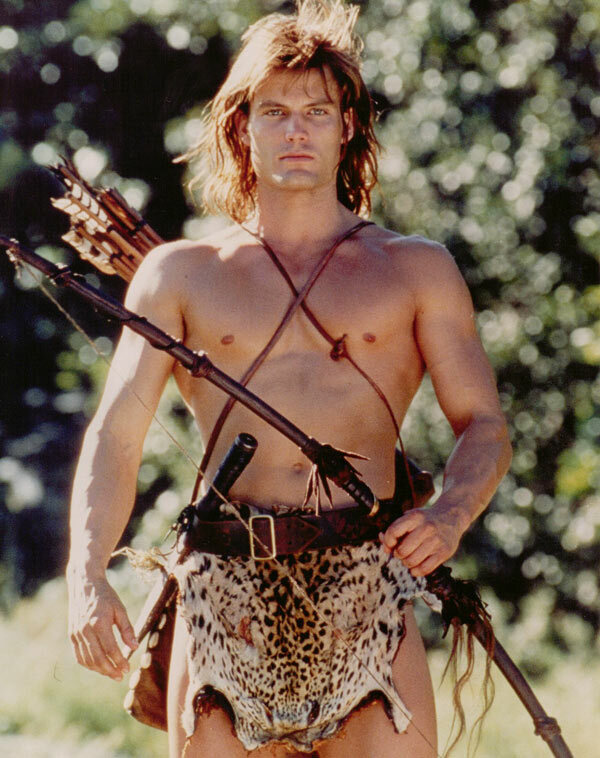 In 1998, the first Tarzan film shot entirely in Africa was released, Tarzan and the Lost City, starring Casper Van Dien as Tarzan. Scott Tracy Griffin, author of Tarzan on Film and Tarzan: The Centennial Celebration and Director of Special Projects at Edgar Rice Burroughs, Inc. in Tarzana. 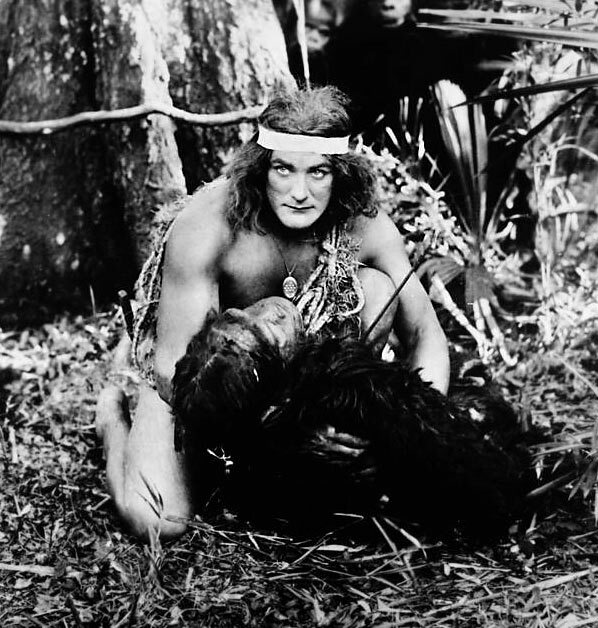 2018 marks the Centennial Anniversary of the Tarzan film series—one of Hollywood’s earliest and most enduring cinematic franchises. Tarzan of the Apes by American author Edgar Rice Burroughs (1875-1950), debuted in the pulp magazine All-Story in 1912. Six years later, the feral man raised by apes first appeared onscreen, portrayed by actor Elmo Lincoln. In the ensuing century, 52 authorized films and seven television series have been released, filmed on locations around the world including Hollywood, Louisiana, Florida, Kenya, Uganda, South Africa, India, Thailand, Guatemala, Mexico, Brazil, Sri Lanka, London, Scotland, Toronto, Vancouver, and Manhattan, often at great personal peril to the cast and crew. 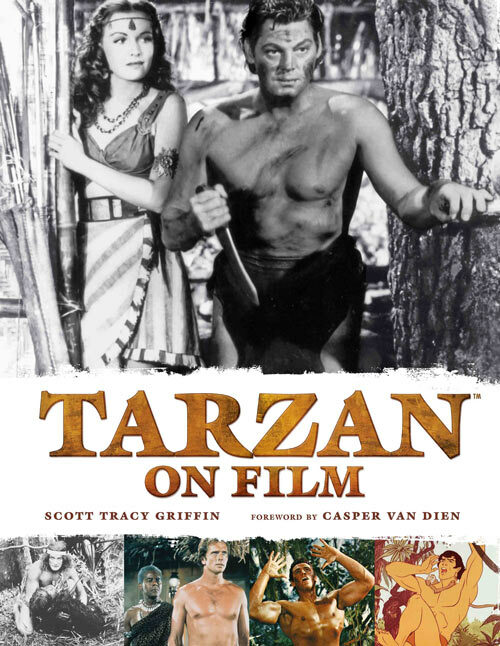 Join author Scott Tracy Griffin (Tarzan on Film, 2016) as he discusses the history of this globe-spanning film franchise. 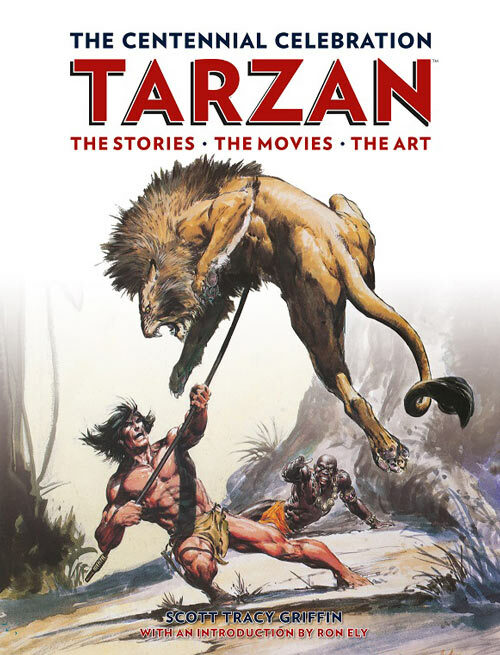 Scott Tracy Griffin is the author of Tarzan on Film (Titan Books, 2016) and Tarzan: The Centennial Celebration (Titan Books, 2012). 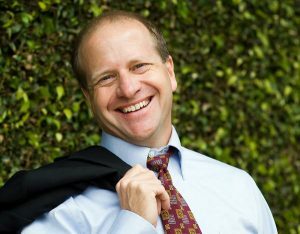 He has more than 20 years of journalistic experience and documentary appearances, and is ranked among the foremost authorities on American novelist Edgar Rice Burroughs and his literary characters, including Tarzan and John Carter of Mars. Tracy is the Director of Special Projects for Edgar Rice Burroughs, Inc. in Tarzana California.